All members tell us they value the consistent superiority of our broadcasts. Our Leadership Society members give at a level they feel reflects their deep commitment to public radio. Those contributions impact KJZZ’s ability to hire highly qualified staff, use state-of-the-art equipment, and air well produced content. The largest share of KJZZ’s budget comes directly from members who choose to support, so when you give to the station at the Cornerstone or Leadership levels, know that your gift will empower the station to keep producing the stories and programs our community needs. The distinguished philanthropic members of the Cornerstone and Leadership Societies enjoy exclusive benefits. 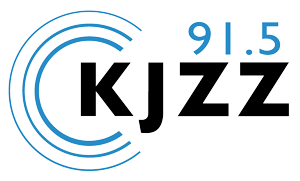 Not only do they gain access to intimate member-only events sponsored by the station, they get behind-the-scenes access to our production studios, have direct access to our member support team, and receive timely information about cultural and entertainment events put on by KJZZ community partners.